After being sold out for what feels like an eternity, I finally got my hands on NYX's new vampy shades in Transylvania and Copenhagen... a season or 2 too late. So I decided to splurge and buy Prague and Abu Dhabi as well. Aside from the hype of getting these forever-wiped-out lippies, you'd be surprised at which were my favs, and which could end up in the trash. LOVE. As some of you know, I'm extremely picky when it comes to neutral lipsticks. Since my lips are teeny tiny to begin with, peach and beige tones make them go from "a little somethin" to absolutely nothin'. 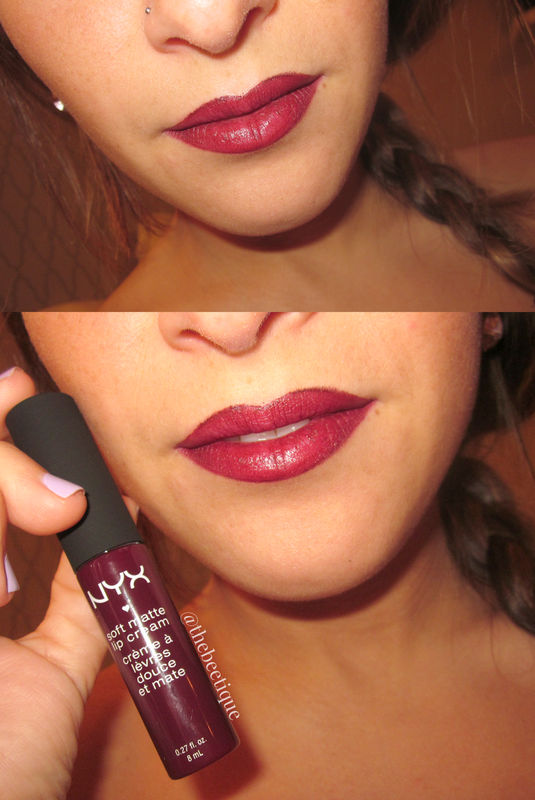 Abu Dhabi is extremely pigmented, applies evenly (my lips are SO dry & you can't even tell! ), and can be worn to look like nothings there. If you have thin paper lips as well, I recommend wearing Abu Dhabi with a liner. I'm using Soar by MAC. Prague is my absolute favorite out of the 4! Not only is the berry-ish pink pigment such a fabulous color, but applying it was a piece of cake. Once again, no evidence of dryness, no patching, and no liner needed. Copenhagen was another highly pigmented color that shocked me. Since Copenhagen and Transylvania were ALWAYS sold out, and more on the vampy side, I was more anxious to see Transylvania rather than Copenhagen. 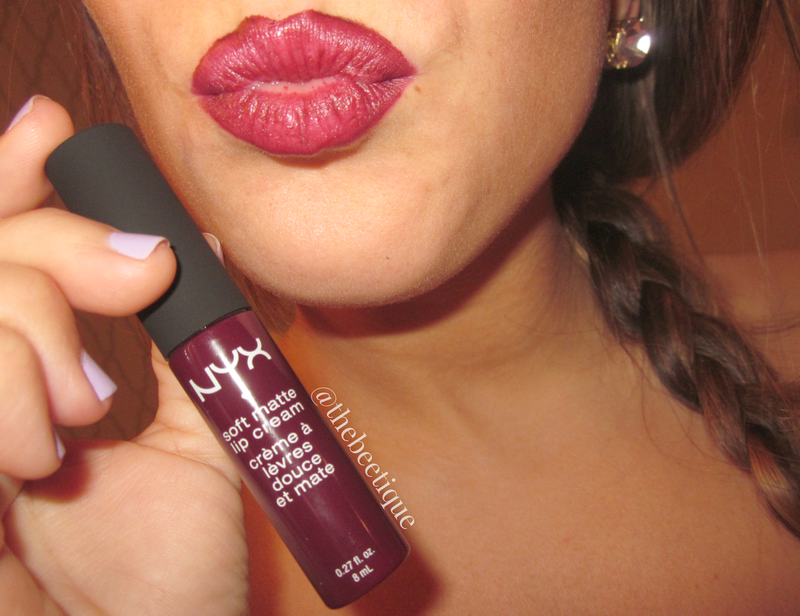 Copenhagen is a deep cherry that reminded me a lot of NYC Ultra Most Lip Wear in Burgundy, which made me love it a lot. BUT, if you've read my post A Burgundy Bang for Your Buck, you'd already know Burgundy still beats out Copenhagen any day. As you can see, Copenhagen was a littttle too patchy on my dry lips since its such a dark color. Not really sure how it'll be looking a few hours after wear. 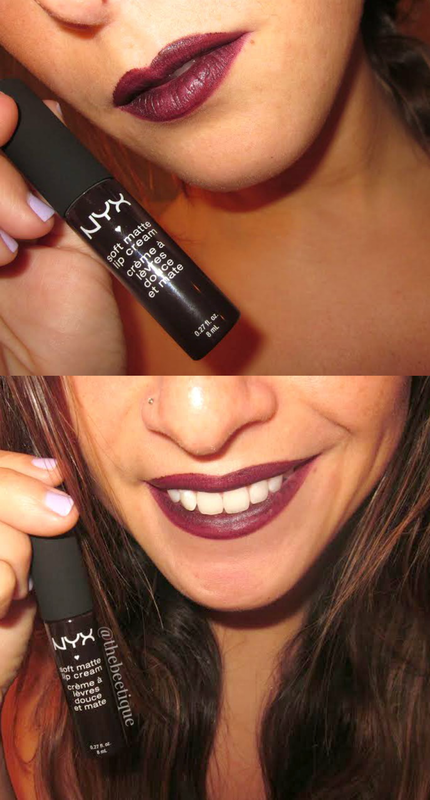 I paired it with MAC Lip Pencil in Nightmoth. Finally. After much anticipation, here's Transylvania.... And what a buzz kill. Unfortunately, I almost bought Transylvania instead of Copenhagen in favor of the darkest lippies over lighter, as usual. So glad I did not. Transylvania had been hyped up by many for so long, and I just couldn't seem to figure out why. 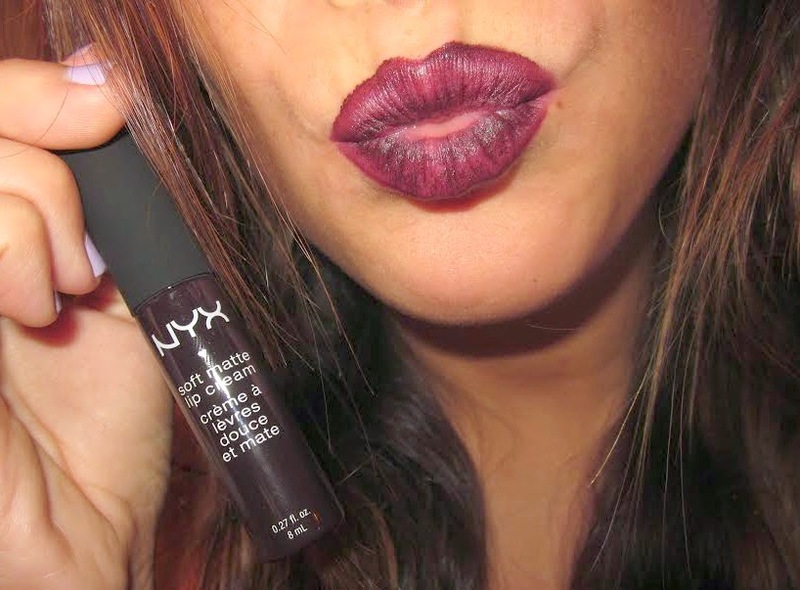 This color would be BOMB if it wasn't so patchy and gave an even coverage. I tried to give it a few coats in hopes that it'll all be even, until I smiled and it was all over my teeth. No bueno, Nyx! Icky. What a disaster! Transylvania is a no-go. Give Transylvania a chance from here. So there you have it. 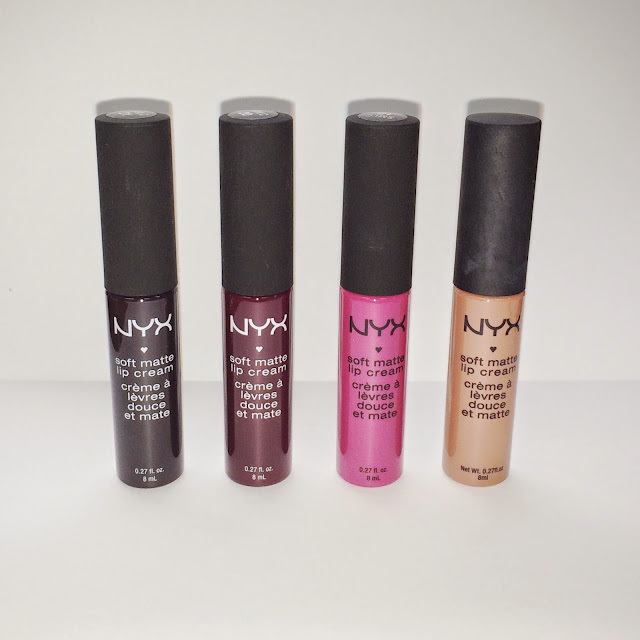 I haven't gotten to explore much of NYX's makeup line, but their Soft Matte Lip Cream is worth a try, especially for under $8. 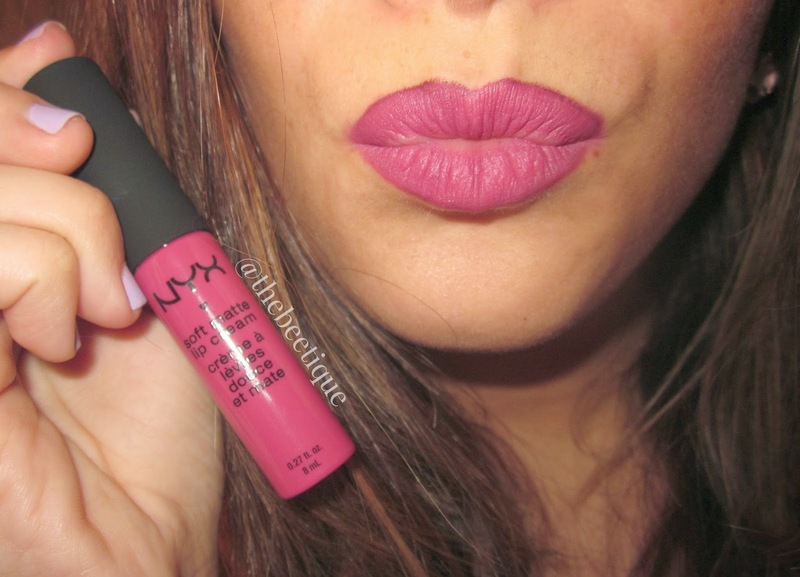 Matte Lip Creams are awesome because they're like the offspring of lipsticks + lipgloss. Not sticky like gloss, and more moist than lipstick.